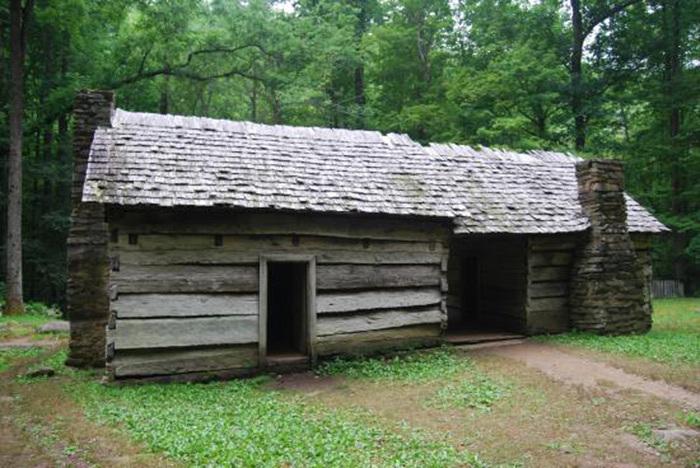 Rolling hills, dense, lush forest, waterfalls, streams, a wide selection of native plants, local history - all these things come to mind when thinking about the Great Smoky National Park. Roaring Fork Motor Nature Trail is no exception and offers one of the most scenic, quiet drives within this beautiful national park. Resting only about a mile from Gatlinburg, Roaring Fork is one of the most popular attractions in the area. It's no surprise why. From the moment you start the trail, you'll feel as though you're hundreds of miles away from the city. With several old cabins and trails to hike, there's plenty to do and see along this roughly 2-hour drive. Along the way, there are plenty of pull-offs to take quiet moments to enjoy and appreciate the beauty of nature that surrounds you. Guests staying in nearby Gatlinburg lodgings will enjoy an afternoon taking in the sights, sounds, and smells of the Roaring Fork's Smoky Mountains scenery. You don't even have to step out of your car to enjoy the beauty of nature at Roaring Fork. The 6-mile one-way road is accessed from outside Great Smoky Mountains National Park in Gatlinburg. Drivers should expect a 2-3 hour drive on this roadway as the posted speed limit is 10 mph and crowds can sometimes slow down the pace a bit. However, this slow pace only allows you to enjoy the breathtaking scenery, appreciating even the smallest of details. This winding mountain road can be steep in portions, but overall offers a safe, enjoyable drive. While there are pull-offs on the road, which make for great place to to enjoy a Roaring Fork Motor Trail picnic, drivers should be advised that the parking situation can become crowded, especially around trail heads and during peak season. Overall, this roadway offers one a charming drive with plenty of opportunities to reconnect with the natural splendor of the Smokies. Many visitors to the Smokies often compare Roaring Fork to Cades Cove because of the stunning views of nature and numerous historical sites. While it's true both these areas offer these wonderful attractions, both sites offer completely unique experiences for vacationers to the Smokies. It is true that Roaring Fork is, for the most part, less crowded than Cades Cove. So, for families looking to enjoy the area's scenic beauty and some historic cabin who don't want to deal with the crowds of Cades Coves, this is your destination. There are plenty of trails, cabins, and natural sights to enjoy along the Roaring Fork Motor Trail. The trails range from quick jaunts for the inexperienced hiker to challenging pathways for seasoned veterans. There are driving tour booklets that highlight the various trail heads an their destinations along the roadway. It should be noted that Roaring Fork offers scenic beauty throughout the year. Come see the various colors of the abundant of wildflowers in the Spring. Enjoy the lush, green vegetation of the Summer. Watch the trees come alight with reds, golds, and oranges in the Fall. Observe blankets of snow in the forest in winter. Whatever the season, vacationers can enjoy the splendor of nature here. Roaring Fork Stream - One of the larger, faster flowing streams in the park, you'll understand why this roadway gets it's name. This stream offers plenty of photo-ops and some natural air conditioning in the summer. Roll down your windows and feel the cool breeze for yourself. Noah "Bud" Ogle Farmstead - Right before the entrance of Roaring Fork Motor Nature Trail, enjoy this nature trail that offers a chance to glimpse a farmstead from the 19th century. The streamside tubmill and Ogle's wooden flume plumbing system are highlights of this sight. Grotto Falls - One of the parks most popular waterfalls located on the Trillium Gap Trail, guests can enjoy beautiful, lush forest before reaching the 25 foot waterfall. This environment is perfect for salamanders spotting as well. The Alfred Reagan Place - One of the more unique historical building located off of Roaring Fork Motor Trail, this colorful cabin was home to a mountain man of all trades who ran a blacksmith shop, a general store, a grist mil, and even preached at the local church. Place of a Thousand Drips - This stunning natural sight can be seen from your car. After a heavy rain, vacationers can watch as several streams cascade down 20 to 30 feet from high caves and rocks. This a truly a sight to be seen. No matter what you choose to see on your trip to Roaring Fork Motor Trail, you can be certain that you will get plenty of natural beauty and area history.